Parents play a major role in Alpha Xi Delta throughout their child’s years in college. At the beginning parents have many questions regarding Alpha Xi and the commitment it involves from their daughter. In order to acquaint our new members with Alpha Xi, our New Member Orientation chair and her two assistants help the girls learn all about Alpha Xi Delta. The New Member Orientation Chair and her assistants are great resources for the new members to go to about any questions they may have, ranging from time commitment, to school work, to involvement outside of Alpha Xi Delta. In addition, our other officers can help with more specific issues regarding academics, finances, and other areas. 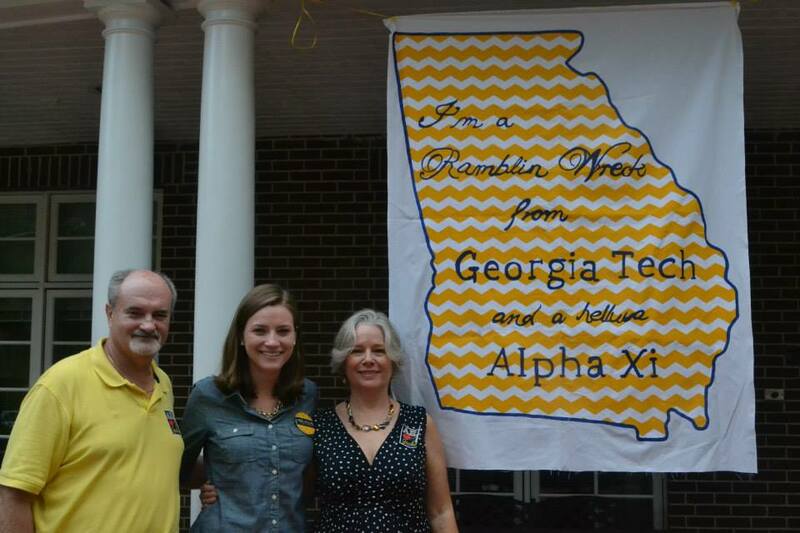 Each Fall Alpha Xi supports Georgia Tech’s Family Weekend by hosting our own events to show parents the wonderful sisterhood their daughter is a part of. In the past, we have held a family-style dinner, an academic awards banquet, and cheered on the Yellow Jackets together at the football game. We hope you come out and join us this year! Chapter Advisor: Tammy Purves (tpurves@clc.com).